The Lawrenceville-based founder of the Georgia Manufacturing Alliance was recognized earlier this month with a commendation from Gov. Nathan Deal for a commitment to the state’s manufacturing industry. 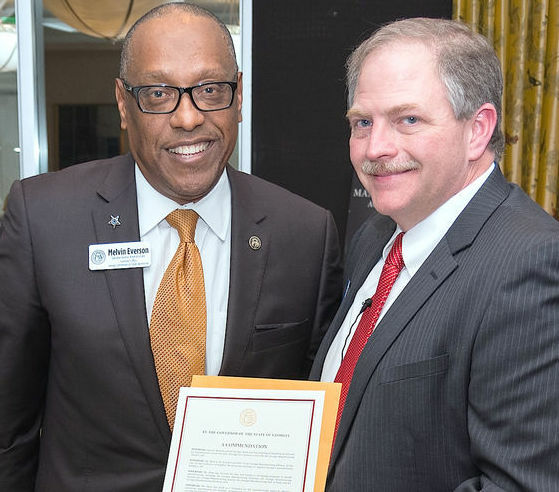 Jason Moss received a formal copy of the governor’s commendation from Georgia Commission on Equal Opportunity Director Melvin Everson during a recent ceremony at the 1818 Club in the Gwinnett Chamber headquarters in Duluth. 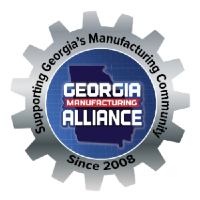 The governor highlighted several programs the Georgia Manufacturing Alliance has undertaken in the commendation. Those programs include the Georgia Manufacturing Summit, the Georgia Manufacturing Awards, the Georgia Manufacturing Director, the Georgia Manufacturing Hall of Fame and the Georgia Manufacturing Calendar.